Bernhard Welschke was appointed as Secretary General of the Business and Industry Advisory Committee to the OECD (BIAC) in April 2013. He works in close dialogue with OECD leadership and member countries, leads BIAC’s engagement during high-level business and government meetings including the G20/B20, and develops the strategic positioning of BIAC with its global membership and policy groups. Mr. Welschke brings to BIAC over 30 years of professional experience in the field of economic policy, trade, governance, and international affairs. 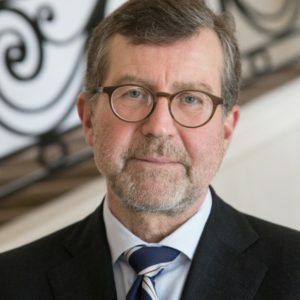 Before joining BIAC, he served as Managing Director for Global Governance and for business relations with North and Latin America at the Federation of German Industries (BDI) in Berlin. In previous positions at the BDI he was responsible for European Affairs, international trade and business relations with Asia and the Pacific. From 2006 to 2010 he was appointed as the Representative of German Industry and Trade in Washington, D.C. representing the Association of German Chambers of Industry and Commerce, the BDI, and the German Ministry of Economics and Technology, promoting transatlantic trade and investment. From 2000 to 2006, he served as Member of the Economic and Social Committee of the European Union. Mr. Welschke holds a degree in Economics from the Johann-Wolfgang-Goethe University, Frankfurt am Main, focusing on monetary policy, international trade, and development.